Bathroom Renovation in Englewood, FL - R.J. LaBadie Construction, Inc. 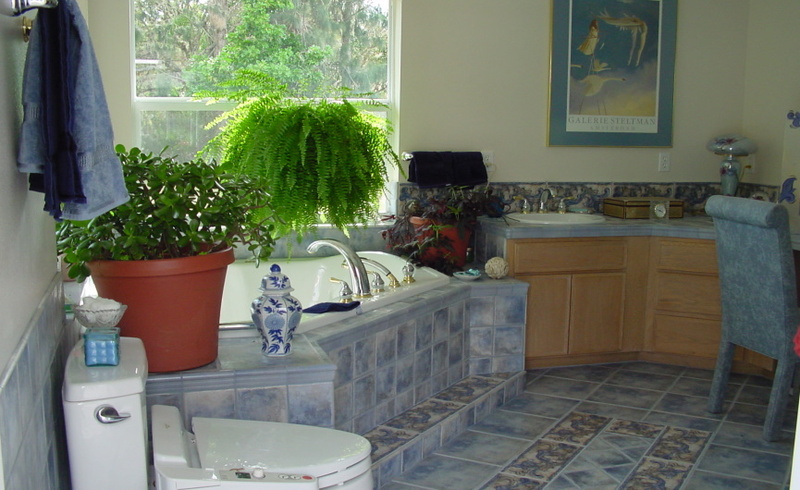 This is not only a bathroom renovation, but also a room addition to an existing home in Englewood, FL. 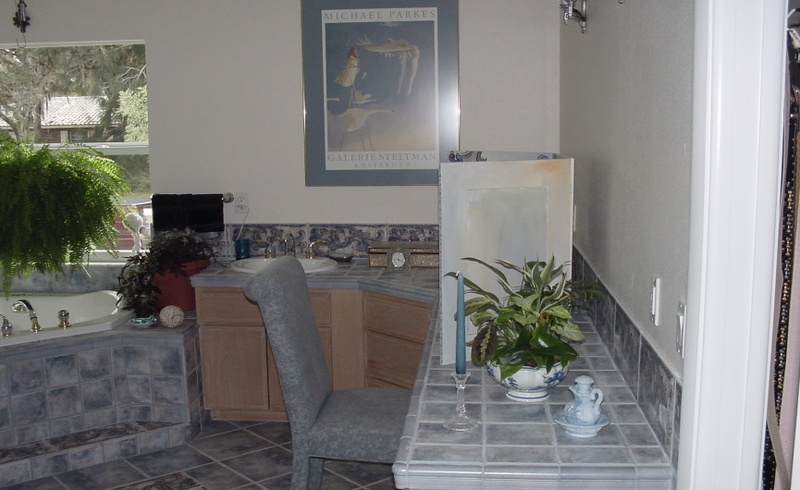 The owners came to us with the idea of turning empty rooms in their home into a new master bathroom, and we helped them make their vision into a reality. 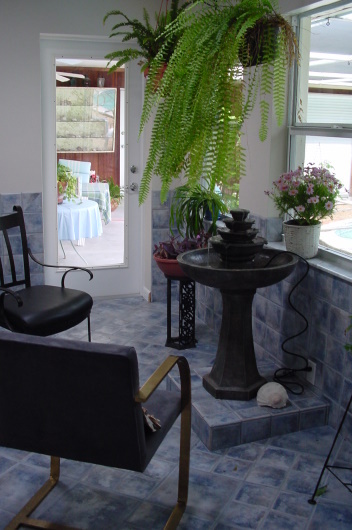 We created a charming sitting room, complete with plants an a fountain, leading into a spacious bathroom with luxurious amenities, including a large bathtub and an extended countertop with vanity. The blue tile and cream colored walls lend a serene feeling to the space, tying the sitting room and bathroom together into one harmonious design. We can repurpose rooms in your home, or even add an addition to a house you have outgrown. 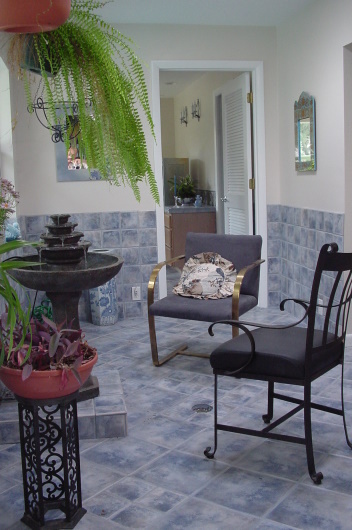 Learn more about our remodeling and room addition services.